The Cougar has landed. Today was cold, windy, and rainy. We spent the day at Colerain RV in Cincinnati. After we signed our lives away, we got a complete instruction tour of the unit. Then had a fun lesson on "hooking up". Finally got the new toy home about 6:30PM. Tired but feeling great. I guess this is really happening. 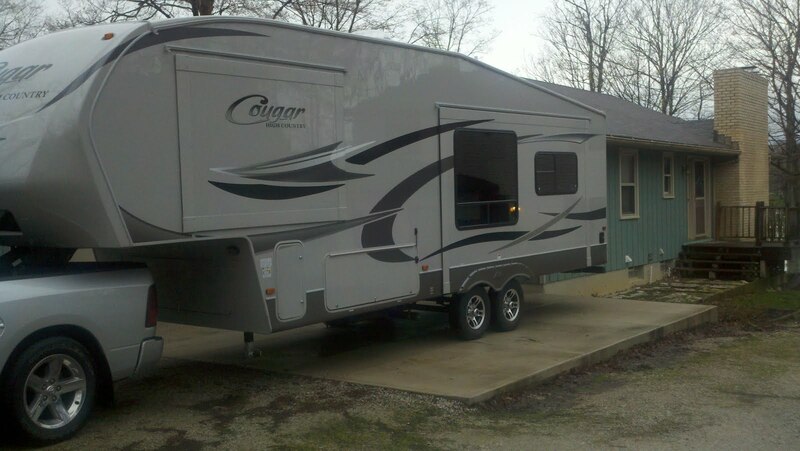 The unit is a 2011 Cougar High Country Model 291RLS for those who care about that stuff. Two weeks ago we removed the cap from the truck and stored it suspended from the garage ceiling. Same place and arrangement that I stored the Miata hardtop for many years. This past week we had the fifth wheel hitch installed in the truck. 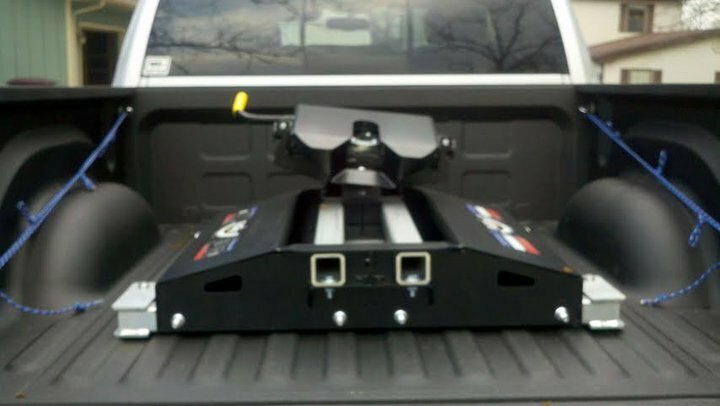 There was a bit of a hassle because the 18K hitch I ordered turned out to be physically too big for the truck bed. So we had to go with a 12K. 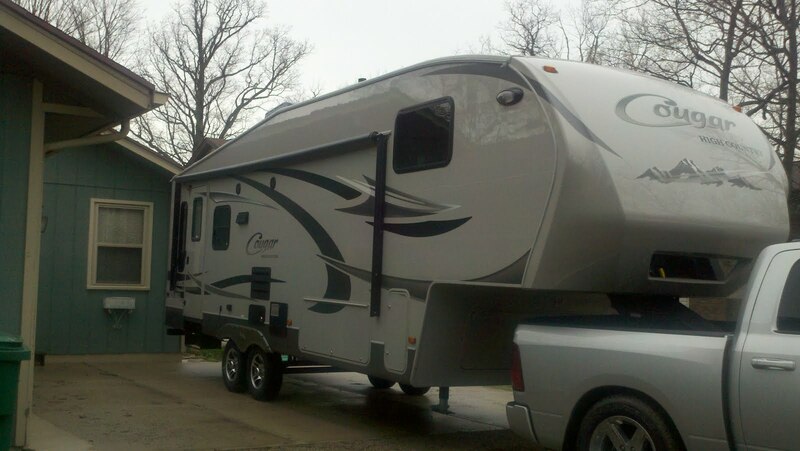 No problem now, but if/when I move up to a bigger truck and/or trailer I will not be able to take the hitch with me. Shame because this hitch is over $2,000. The SuperGlide hitch is made for short bed trucks. When you turn, the king pin moves rearward several inches. This prevents the front of your trailer from crashing into your truck cab -- probably a good thing. Other hitches require you to exit your truck and manually reset the hitch position to permit the turn and then manually set it back after you have completed the turn. Not a very effective arrangement.